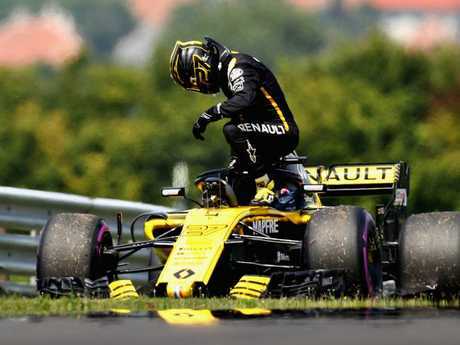 RENAULT boss Cyril Abiteboul says Daniel Ricciardo is no chance of winning the Formula 1 world championship during his two-year contract with the French team. 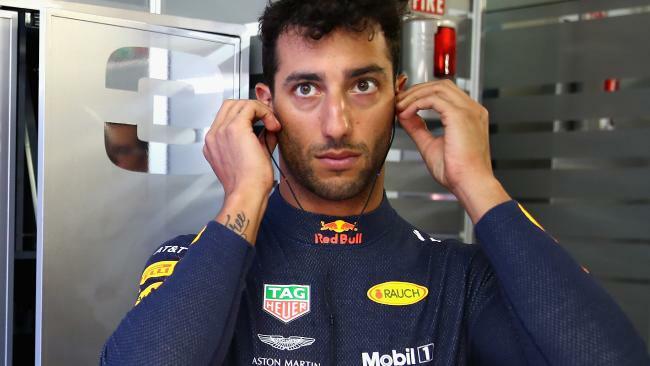 The immensity of Ricciardo's incredible gamble to leave Red Bull after five seasons and jump ship to a less competitive team has been fully explained by Abiteboul's wake-up call. The Renault Sport Racing managing director has made it clear his team has no secret weapon up its sleeve. Having returned to the Formula 1 grid as a fully factory-backed team in 2016, Renault has made steady progress but remains fourth in the 2018 F1 constructor standings with just 82 points - miles behind third-placed Red Bull (223). 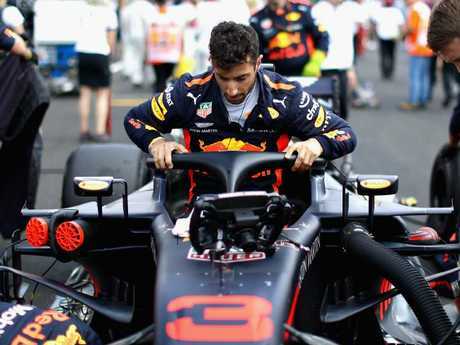 Abiteboul said his team was able to sell Ricciardo on the prospect of challenging for the 2021 Formula 1 drivers championship - but made it clear he told Ricciardo right from the outset that the team still faced a tough two seasons while Ricciardo was under contract. Ricciardo signed a two-year deal with Renault - taking him through to the end of the 2020 season, when Lewis Hamilton's and Sebastian Vettel's contracts also expire. The 2021 season is also when Formula 1 has forecast another radical shake-up of regulations. Abiteboul has told French newspaper Auto Hebdo that Ricciardo is aware Renault won't be in a position to win grands prix until his second season with the team. He also revealed the team wouldn't be able to challenge for a world championship until 2021 - when Ricciardo would be out of contract. "We sold him the goal of fighting for championships in 2021, and to start winning, I hope, in 2020, but not before," Abiteboul said. He told the publication the team was also able to persuade Ricciardo on its commitment to giving him a platform to help shape the car's development. "He has also been sold a role that goes beyond that of a simple pilot, but that of someone who participates in building a team," he said. "I realised that the drivers at age 29 - it's the same with Nico (Hulkenberg), who will be 31 (later this month) - they want to drive but also aspire to do other things. "It's not the same with everyone, but I believe it's the same with these two guys." Earlier this month, Abiteboul said Ricciardo's decision to join the team next season meant his team must now deliver on the promises it had made to the Aussie driver. "His commitment to us proves our willingness to accelerate the recovery process for the leading teams," he said. "It's also recognition of the work we've done over the last two and a half years. Daniel's talent and charisma are a great bonus for us. We have to reciprocate that confidence by giving it the best possible car." Abiteboul admitted earlier this week that his team had been surprised by Ferrari's ability to continue to improve its power unit. Red Bull boss Christian Horner said last month his team's decision to drop Renault for Honda as its engine supplier was "clear cut". Horner and Abiteboul have traded barbs over Red Bull's decision to end its relationship with Renault - and the Renault boss again fired back at its Honda rivals in his interview with Auto Hebdo. Abiteboul said Ricciardo's doubts about the performance and reliability of Honda's power unit were "justified" on the evidence of Red Bull's experiment with Honda power in its Toro Rosso development team. "Like everyone else, he recognises Honda's progress," Abiteboul said. "He also sees the statistics and engines consumed by Toro Rosso. "We do not talk much about it, because honestly, (Toro Rosso driver Brendon) Hartley taking 80 penalty places, it does not make much noise, but when Honda will be at Red Bull, the pressure will be very different, and it will be more. "